Kidsfest 2017, showcasing our talented students!! 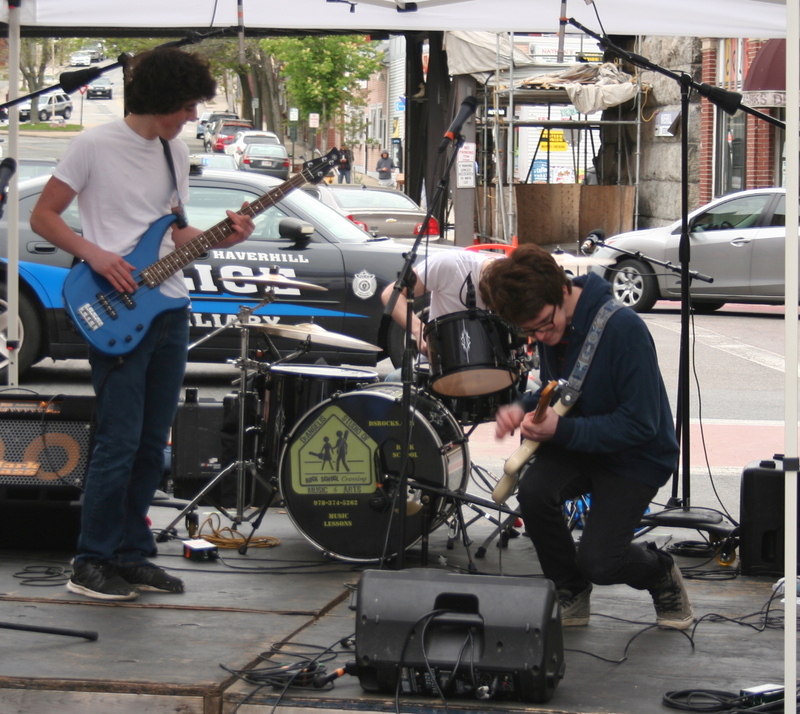 On Sat May 13th 7 of our Rock School and Jams bands performed on the Steve Lyons Fund Stage at Kidsfest 2017. DeAngelis Studio of Music has been performing at this iconic festival since 2009, which featured 2 of our original Rock School Bands. Over the years DeAngelis Studio of Music has become well known for their band programs and even hold a Guinness World Record for the Youngest Professional Rock Band in the world. Leather Shark, The Blast, Too Stubborn, Bundle-Up!, Spur of The Moment, Deviant and Fear to Fall. Spur of the Moment band member Amanda was also this year’s Haverhill Idol winner, what talent! To learn more about our Rock School and Jam programs, please call (978-374-5262) or email (info@dsrocks.com).